We’ve been featured on CBC Arts – The Exhibitionists series. 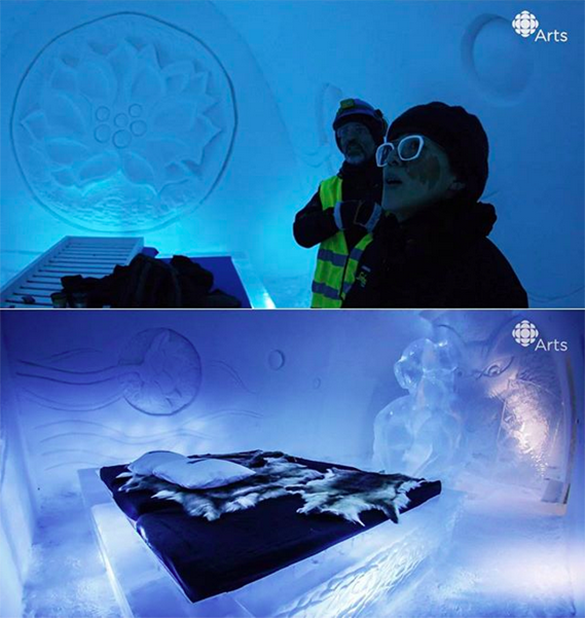 Shot on the last few days of work on our new art suite, The Tao of Cat, at ICEHOTEL Sweden. Shot by Mattias Löw with sound by Reshma Mansuri Löw. It aired on February 22 and can be viewed online.